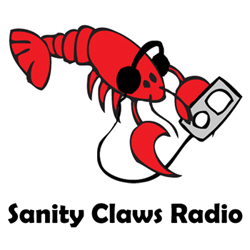 Sanity Claws Radio – Unintended Audiences! We talk about those media that draw unintended audiences in this episode of Sanity Claws Radio. Scotty, Karen, Jon, and Steve talk about those TV shows/video games/movies that hit it big with completely unintended audiences. Our discussion runs the gamut from the Marvel Cinematic Universe, to Adventure Time, to Pokemon. Plus, Karen and Scotty explode some kittens, Steve goes online, and Jon gets into some episodic stories. And finally, we finish off the show with a tasty round of I Can Top That. Join in Won’t you? ← Sanity Claws Radio – Barrier to Entry Games!